“Straight Outta Compton” by N.W.A. Revolutionaries in music are a rare breed. The transcend their genres and shape music as a whole. They usually come from the places you least expect, and say the things that the general populus does not want to hear. They buck conventions and change the status quo, making sure that the history books remember them. 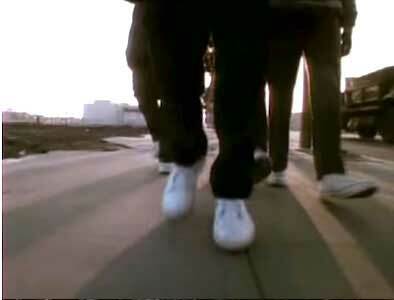 In 1988, 5 kids from Compton clad in all black and wearing some Chuck Taylors changed the music industry forever. “Straight Outta Compton” is the title track off of Compton-based rap group N.W.A.’s debut album. The song highlights the daily realities young African-Americans face in Compton. This song is credited with being a seminal moment for “gangsta rap”, and a break through for more reality driven content in rap music. 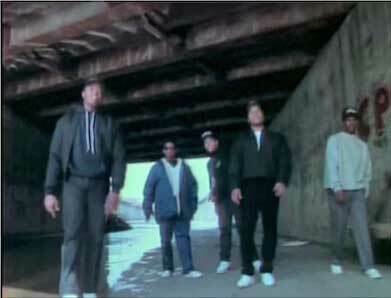 The video begins with N.W.A. 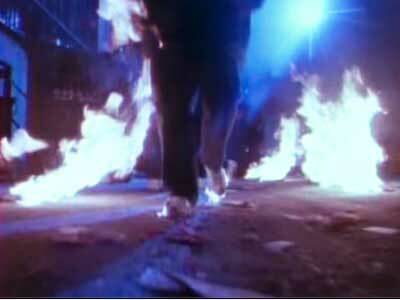 literally walking through the fiery streets of Compton, rapping about what life in the streets really entails. They immediately establish that they are different from the rest of the hip-hop scene of the time. Instead of flashy track suits, Kangol hats, and Adidas, they wear black jeans, Raider hats, and Chuck Taylors. They rap about life in Compton, a foreign reality to most, and do so with such passion the listener is enthralled with their vocal presence. They look and sound different because they are different, and being different allowed them to forge a path that would be followed by artists like Snoop Dogg, Tupac Shakur, Eminem, and Kendrick Lamar. They truly are revolutionaries in every sense of the word. These chucks are white hot! The World’s Most Dangerous Group in the World’s Most Famous Shoe.